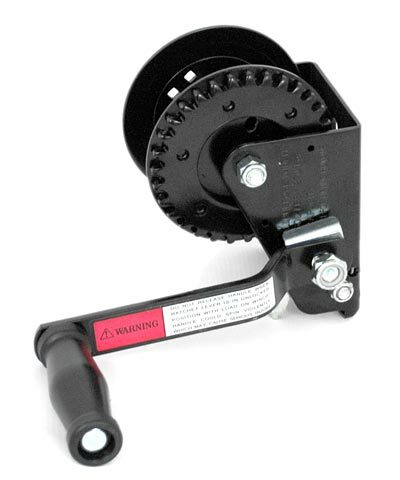 Raise and lower your Natureline Gourd Rack easily with the Natureline Ratcheting Winch. This winch is designed to connect to your Natureline Four Section Gourd Rack Pole (not included), using the template provided. Connect the rope from your existing pulley system to the winch and ensure it is tightly secured and wound around the center of the unit. When time to check nests, use the ratcheting action of this winch to safely lower the system. The sturdy metal construction creates a lasting item, and the included hardware makes installation simple. Add this Ratcheting Winch to your Natureline Pole for an easy and safe way to check your gourds. Note: The color of the winch may vary.